Nestled alongside a picturesque seafront just a few kilometers outside Amsterdam, Volendam draws tourists with its hammed-up depiction of the Netherlands of old; all fishing boats, clogs and cheese shops. But there’s a new kind of gawker in town: the foreign journalist hungry for some homegrown Dutch xenophobia, as Graham Dockery reports. Volendam has become known to the foreign press as a bastion of conservatism in an otherwise liberal country. Far-right populist Geert Wilders may have won 17% of the popular vote in the last election, but in Volendam one in two people voted for his party, the PVV. With a general election approaching and Wilders topping polls, the eyes of the foreign press are naturally focused on the Netherlands. Following Brexit and the election of Trump, the wave of nationalism sweeping the western world could potentially break here next. 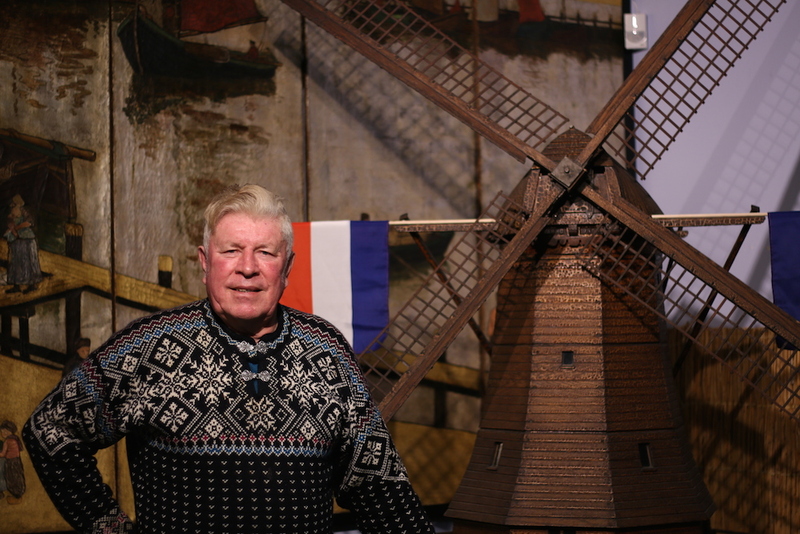 82-years-old, Keizer is a retired local politician who now manages a museum in Volendam. Taking a break from preparing an upcoming exhibition, he holds court as a steady stream of locals drop by for a chat and coffee. Keizer reckons that many of these visitors will vote PVV on March 15. Over his years in politics, Keizer has seen the town’s eel-fishing industry decimated by EU regulations, while the political leanings of hard-done-by Volendamers swung to the right. Walking south along the seafront, cafes and souvenir shops give way to warehouses and shipyards. 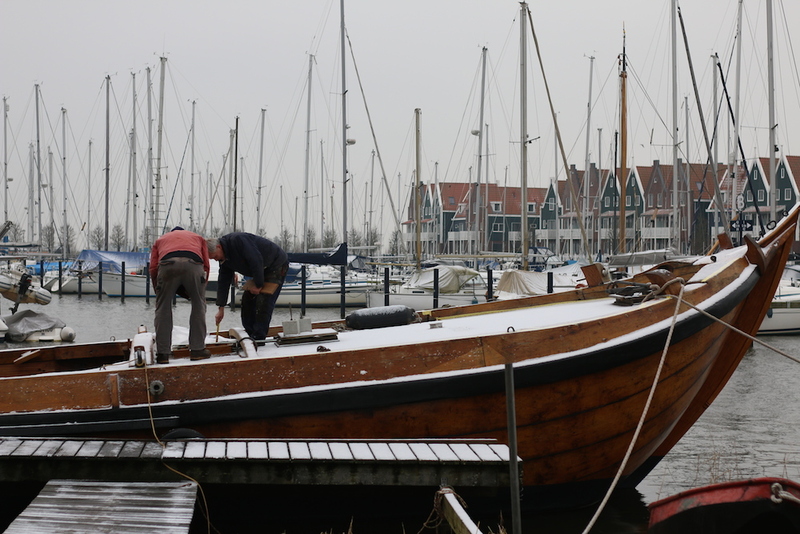 In one of these yards, a crew of volunteers are busy restoring an old fishing boat to its former glory. Among the men, opinions on Wilders are mixed. ‘Is Geert Wilders the devil or our savior? Probably somewhere in between’ says Dirk Appel (61) with a laugh. Appel doesn’t support Wilders’ anti-EU rhetoric, but agrees with his hardline stance on immigration. ‘He’s been saying for 20 years that there’s too many Muslims coming to the Netherlands and Europe, and I think he’s right.’ Recently, Wilders’ anti-Islamic speech earned him a court appearance, where he was convicted of inciting discrimination against Moroccans. 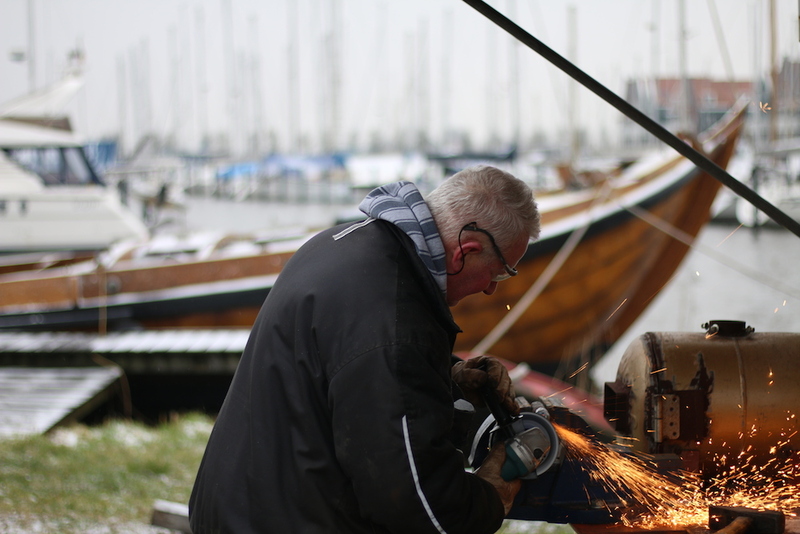 Nearby, Theo Van Geffen (46) works with an angle grinder, a shower of sparks bouncing off his jacket. After losing his job several months ago, Van Geffen now volunteers in the shipyard and teaches Dutch to refugees in Amsterdam. All the men in the yard are proud of their town’s hardworking, blue-collar reputation. Some see refugees as getting an easy ticket in the Netherlands, and some see Brussels bureaucracy as holding back their ability to work efficiently. Wilmie Doornbos (60) has worked with refugees in Volendam and the surrounding countryside since the Yugoslav wars of the early 1990s. Then, like now, some locals were suspicious of the new arrivals in town. Doornbos has a lot on her plate. While the amount of refugees coming to Volendam has fallen this year, her organization – Vluchtelingenwerk Nederland – always needs more volunteers. Together with Naira (36), an Armenian refugee, she prints out training material for new volunteers as she speaks. Doornbos is idealistic. ‘I have a problem with the PVV because they divide us. We need to live together and accept each other’s differences, globally and locally,’ she says. However, she acknowledges that integration takes effort from both sides. She has encountered problems as some refugees struggle to adapt to Dutch values, particularly regarding the role of women in society. But she has also seen some reward for her work. She has watched refugees settle into life and work in Volendam, becoming neighbours, friends, and colleagues of the locals. “They get contact with the neighbours, the children play on the football team, and they get to know each other,” she says with pride. Just as opinions on Wilders in Volendam are mixed, so too are predictions for next month’s election. Back on the docks, sail maker Frans Keizer (58) sees Dutch voters taking the election of Trump as an inspiration rather than a warning. Dutch voters go to the polls on March 15. For more information, read DutchNews’ election coverage here.